PA / PA Wire/Press Association ImagesSir Philip Green giving evidence to Parliament earlier this month. The ex-property director of BHS claims former owner Sir Philip Green “couldn’t quite let go” of the department store after selling it for £1 last year. MPs are probing the collapse of BHS, which will likely put 11,000 Brits out of work and leaves an estimated pension black hole of £275 million ($369 million). Dominic Chappell, who bought BHS from Sir Philip, has already told MPs he was in close contact with Sir Philip after the sale, saying he wanted to know what was going on. Chappell has accused the tycoon of pulling the plug on BHS this April by calling in administrators. Sir Philip’s Arcadia Group was still owed a debt by BHS that allowed it to do this. 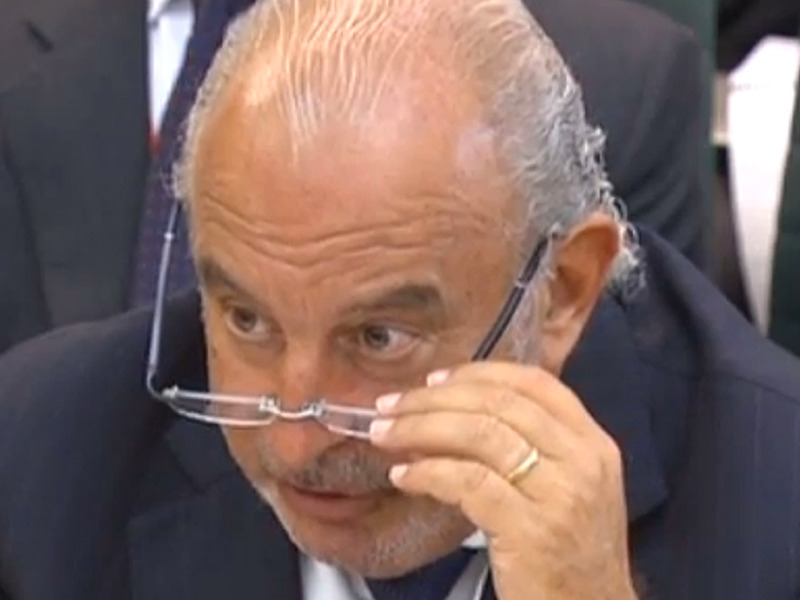 Sir Philip has denied to MPs that he was behind the collapse of BHS. Chappell is a former racing driver who has twice been bankrupt and had no retail experience when he took over BHS. Sir Philip Green, Arcadia, and BHS’ former management have all blamed Chappell for the department store’s collapse. Sherwood said he first met Chappell socially and got to know him through sailing, a hobby which they both enjoyed. He told MPs: “I viewed him as an entrepreneur. I understood he had done work in North Africa, he had good connections in the Middle East and had an oil project somewhere in Europe.